Additional Info: Hair drier in main bedroom, vacuum cleaner, DVR recorder. 25% deposit required to secure bookings. Full payment must be made no less than 8 weeks before bookings commence or the booking may be cancelled and re-let. Deposits are are not refundable. A Security/cleaning bond of £75 is required with the final balance. This will be returned, normally within 7-10 days of you vacating the caravan provided that is has been left clean, undamaged and with nothing missing. Any damaged or missing items in excess of the bond will be billed separately. 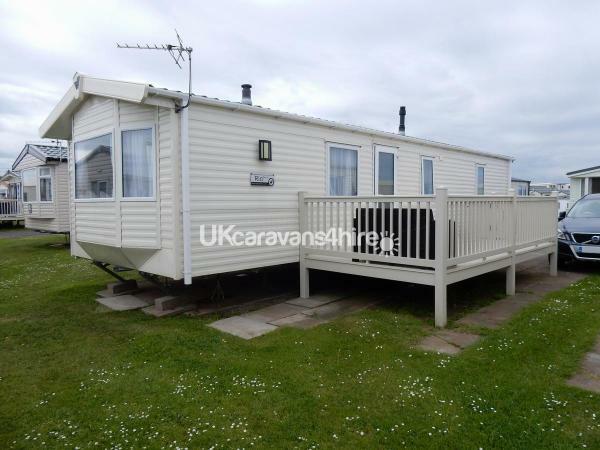 Situated on Haven's excellent Berwick Holiday Park the caravan has a Haven grading of ‘Prestige 2 bedroom with deck’. 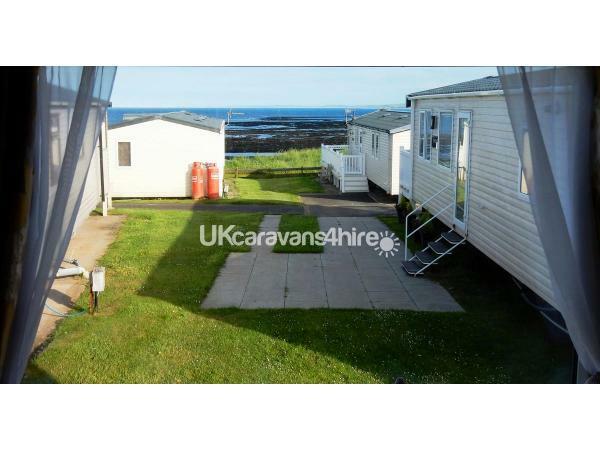 The caravan is a Willerby Rio Premier and has 2 bedrooms, the double having a TV and en-suite. There is double glazing and gas central heating throughout with additional portable oil filled radiators for those nights when it’s cool but not quite cold enough for central heating to be on all night. 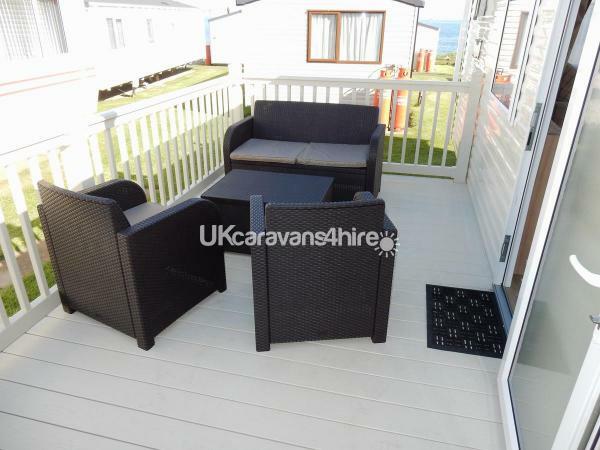 There is parking adjacent to the caravan and a generous side decking area (approx 12 Sq/m) with seating for 4. 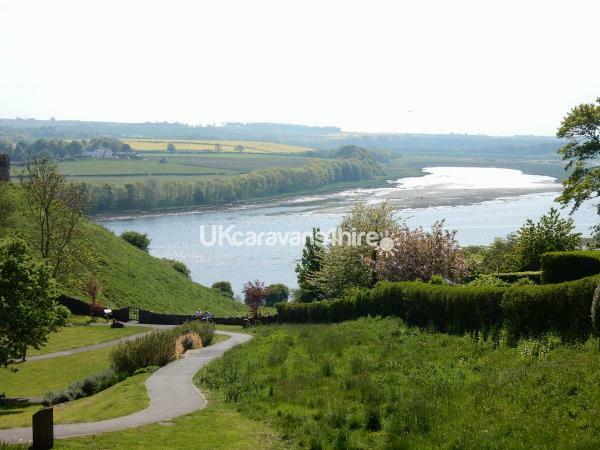 From the decking and caravan lounge there are views along the Northumberland coast to Holy Island and Bamburgh Castle. Bedding is included but not personal items such as towels etc. Berwick Holiday Park boasts all the usual Haven on-site facilities, grocery shop, entertainment, pool, restaurant etc. 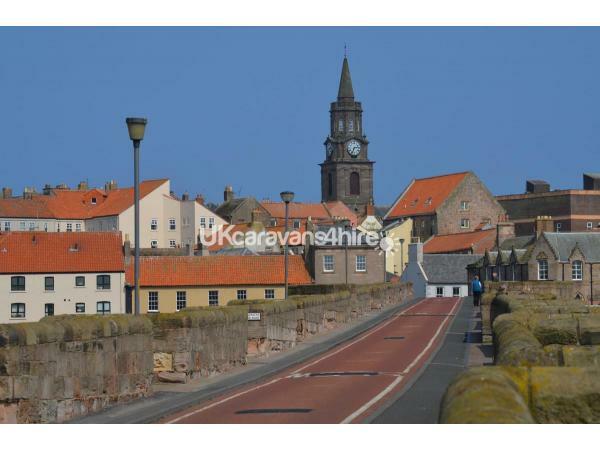 The town of Berwick upon Tweed has a good range of shops, a variety of restaurants (some will deliver to the site security booth), tea and coffee shops and an excellent variety of walks. 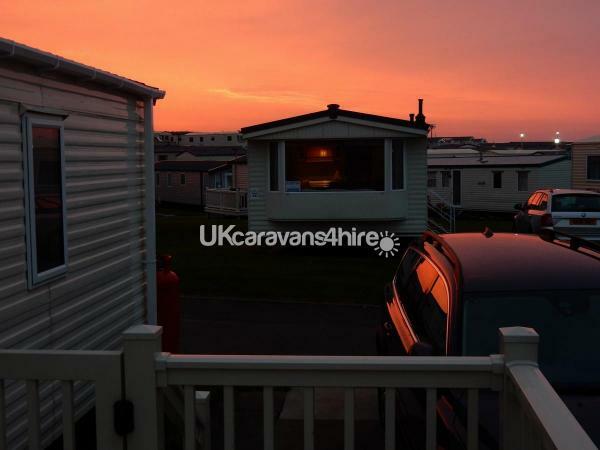 Letting of the caravan is normally from Friday - Friday in the peak season (July and August) although different letting periods are available at other times. But please get in touch, we are happy to discuss alternative hire periods. Entertainment passes* (Fun Passes) are available from reception. Other facilities and places of interest nearby include the Swan Centre in Tweedmouth (2 miles) which is open all year from 7am - 10pm and has public swimming, badminton, squash and other keep fit facilities. Magdalene Fields Golf Club is adjacent to the site and visitor fees range (2019) from £29 midweek to £34 weekend with senior citizen and under 18 discounts available. We can also recommend Chain Bridge Honey Farm (6½ miles) which is open all year (10am - 5pm Easter to October) try the Café Bus which is open during the summer and the display of vintage vehicles. 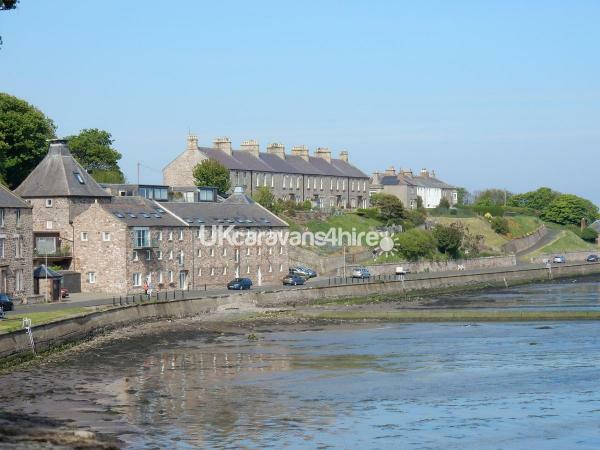 Other attractions within 30 miles include the stunning Bamburgh Castle, Holy Island, Lindisfarne Priory and Castle, Heatherslaw Light Railway, Alnwick Castle and gardens, Paxton House, Manderston House and Floors Castle. Not to forget Gunsgreen House at Eyemouth. *Entertainment passes and some activities are charged by Haven. We had a fantastic stay at this caravan. It was extremely clean and well presented. The kitchen is fully equipped. The view of the sea is wonderful from the living room. The booking process was very easy and Iain answered all our questions very promptly. He couldn’t have been more helpful. We would highly recommend this caravan. Many thanks for taking the time to submit your review and we are glad that you enjoyed your stay.